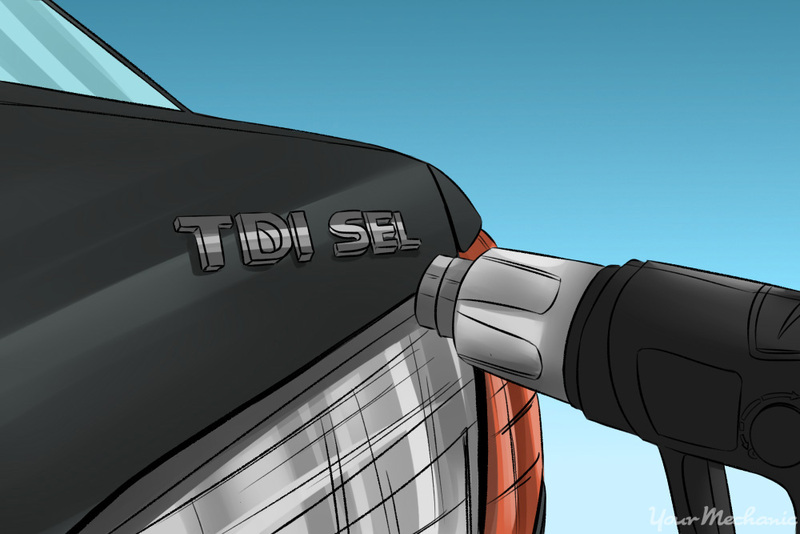 Car owners must sometimes remove the emblems on their vehicles for a variety of reasons. The most popular reasons for removing a manufacturer's emblem from a vehicle include complementing the smoothed-out bodywork common in modified cars, disguising a lower or higher-end car, or making the vehicle easier to clean. Newer model vehicles usually use adhesives to attach emblems, while older models often come with emblems attached with posts or bolts. Regardless of your emblem type, emblem removal is straightforward when you follow a few simple steps. Using either a blow dryer or heat gun, you can easily remove an emblem from your newer-model vehicle. With the aid of heat from the heat gun or blow dryer, you can loosen up the adhesive and remove it using a putty knife. Following emblem removal, you need to remove any excess residue using adhesive remover and a towel. And finally, once the emblem and any remaining residue are gone, you can follow up with some polish to make your vehicle look shiny and like new where the emblem once was. Tip: Using a blow dryer might be a safer bet when removing emblems. Unlike blow dryers, heat guns get hot very quickly and can more easily damage your vehicle's paint if left in one spot for too long. Step 1: Heat the area of the emblem. 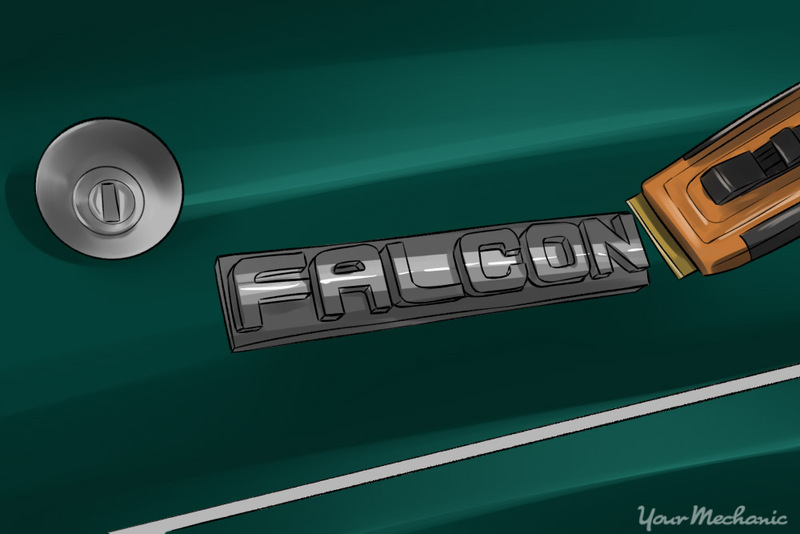 Holding the heat gun or blow dryer several inches from the vehicle's surface, apply heat to the area of the emblem. Make sure to move the heat gun or blow dryer around to different areas of the emblem to avoid overheating any one area. Warning: Do not let the heat gun or blow dryer rest in one spot for more than a few seconds at a time. Excessive heat can damage your vehicle's paint. Step 2: Remove the emblem. Using the plastic putty knife, pry the emblem away from the surface of the vehicle. Start at one corner of the emblem and work your way further under the emblem until completely removed. You might have to use the heat gun or blow dryer further to weaken the adhesive's hold. 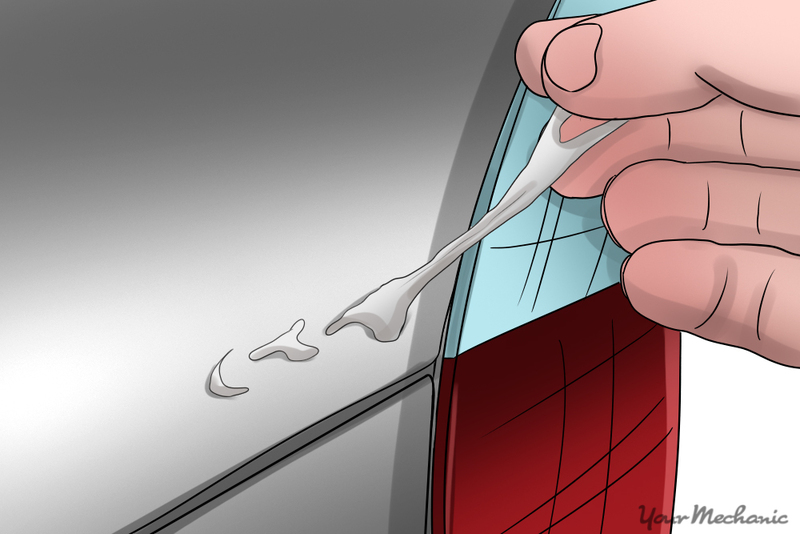 Tip: To avoid scratching the paint on your vehicle, place a towel between the putty knife and the surface of the car. Step 3: Let the excessive adhesive cool. After removing the emblem, allow any remaining adhesive to cool. 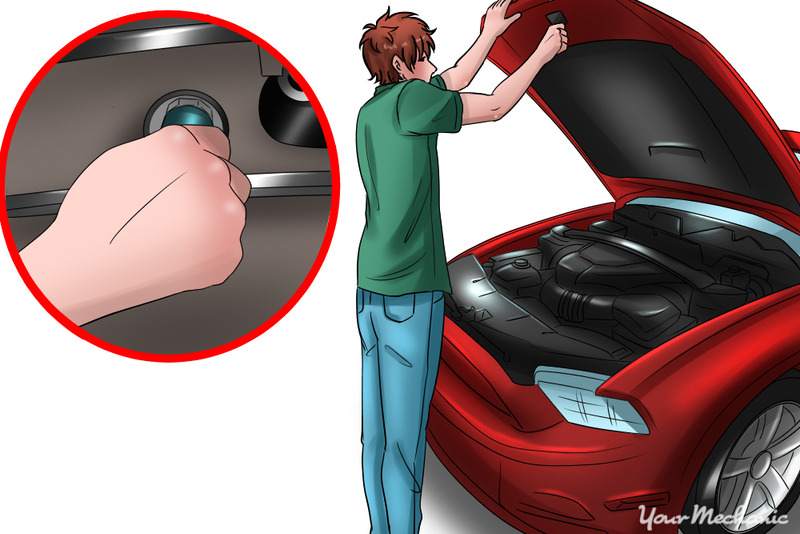 You can check the temperature of the vehicle's surface and the adhesive by carefully placing your hand on the surface. Once it is cool enough to comfortably touch, proceed to the next step. Step 4: Using your fingers, remove any large lumps of adhesive from the vehicle's surface. If any smaller sections of adhesive remain, roll your hand and fingers across the surface area, using firm pressure to cause the adhesive to more easily come off the vehicle. Step 5: Remove any remaining adhesive. Apply adhesive remover to the cotton towel and remove the remaining adhesive from the vehicle's surface. Rub the adhesive remover vigorously across the area until the adhesive is completely removed. Tip: When starting out, try using the adhesive remover on an unseen area to make sure it won't damage your vehicle's paint. Step 6: Add wax and polish where the emblem was. Once all of the adhesive is gone, apply wax and then polish the vehicle's surface where the emblem once was. You can also use a car polisher to really make your vehicle's paint job shine. Waxing your car helps protect your vehicle's paint and can buff out any imperfections present in your vehicle's paint job. A car polisher can save you some of the hard work associated with waxing your vehicle, making the entire process easier. Tip: You might encounter ghosting when removing emblems from older vehicles. 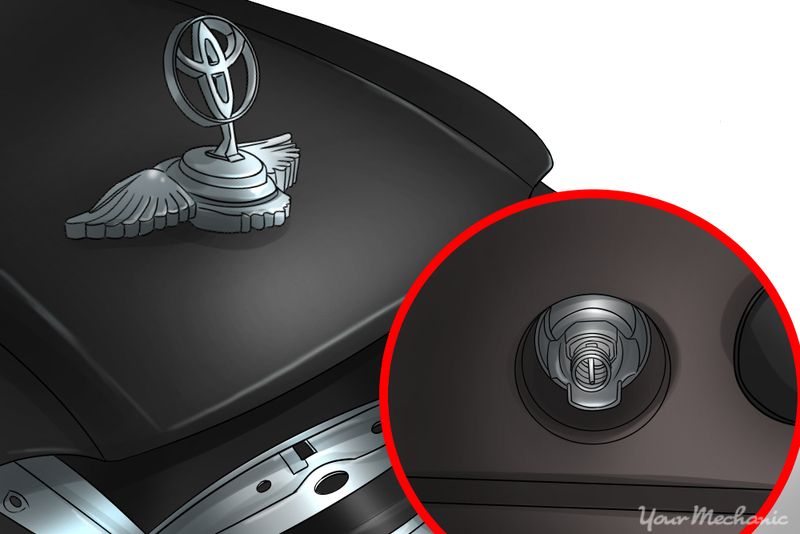 Ghosting is when an image of the emblem lightly remains, creating a slight color difference from the paint that was originally around the emblem. If this happens, you might consider having the area painted to match the rest of the vehicle. On older-model vehicles, emblems are often attached using posts or bolts. While these types of emblems might seem harder to remove than adhesive emblems, if you have the right tools, the process is relatively simple. In addition to removing the emblems, though, you will probably need to fill in the holes left after emblem removal and then paint the area to give your vehicle a nice, smooth look. Tip: Check to see what type of tools you need for emblem removal. Some vehicle emblems clip on and are easily removed. 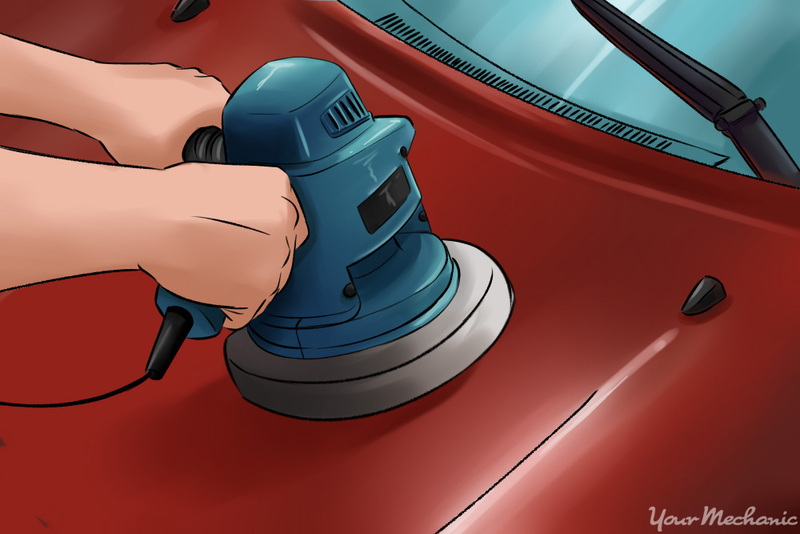 Step 1: Locate where the posts attach to the vehicle using either a nut or screw. The posts on your vehicle's emblems sit on the opposite side of where they are located on the body of the vehicle. 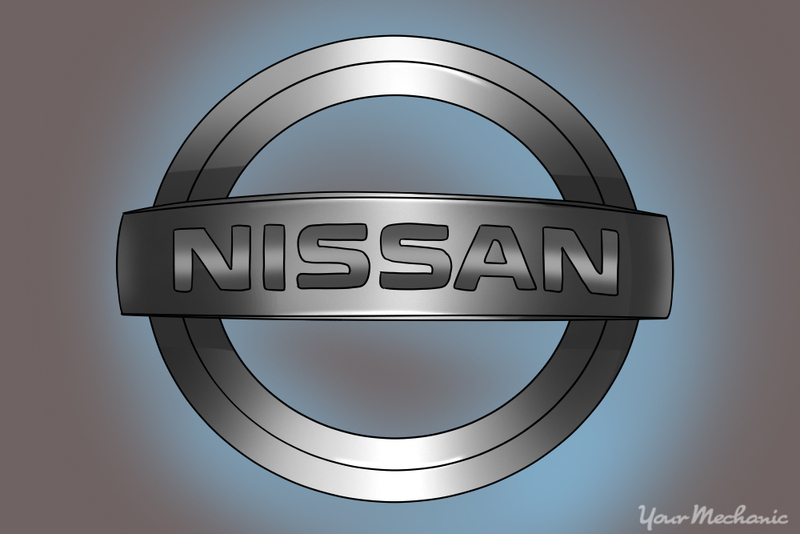 Usually, though, front and back emblems offer easier access as they are attached to the hood or trunk of the car. 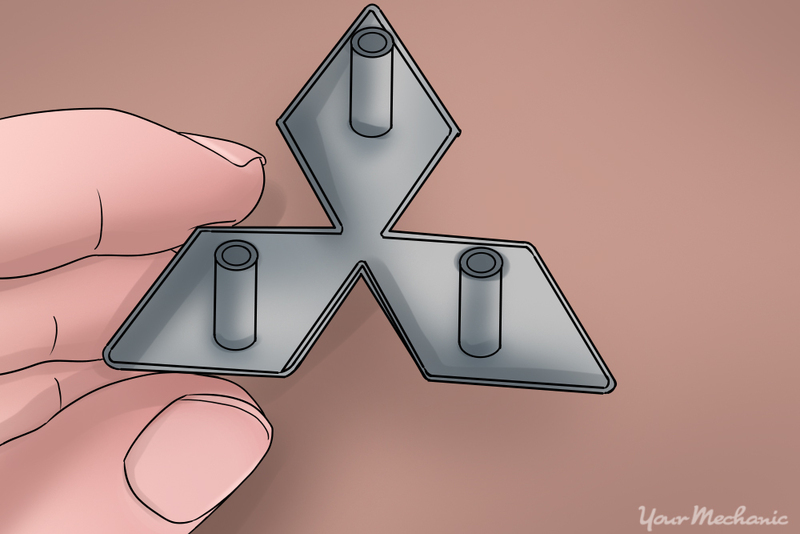 Step 2: Disconnect the emblem. Using an appropriate tool, remove the nuts used to secure the emblem in place. Depending on the vehicle model and age, emblems might contain a combination of bolted on emblem parts and those attached through the use of adhesives. Tip: Once removed, you should consider having the holes filled in and the area painted to make it consistent with the paint job on the rest of the vehicle. Step 3: Clean and wax the surface. After the entire emblem is removed, clean the area thoroughly and apply car wax. Use a car polisher to make the waxing process easier. Removing a car emblem is not difficult when you use the right tools. If you don't feel comfortable doing the job yourself, or for situations where you do not have the tools you need, such as when an emblem is attached using posts, call an experienced mechanic for a consultation or even to do the job for you.